If you have ever been camping and neede d a quick meal or you need a meal that doesn’t require a fire or a stove, you’ve probably resorted to MRE’s. I personally use them quite a lot, because they are so easy to grab and go. I always have at least 2 Meals Ready to Eat in my camp pantry. More than once I’ve been caught in a sudden thunderstorm that forced me inside the tent or camper. And on more than one occasion, this has happened right around meal time. 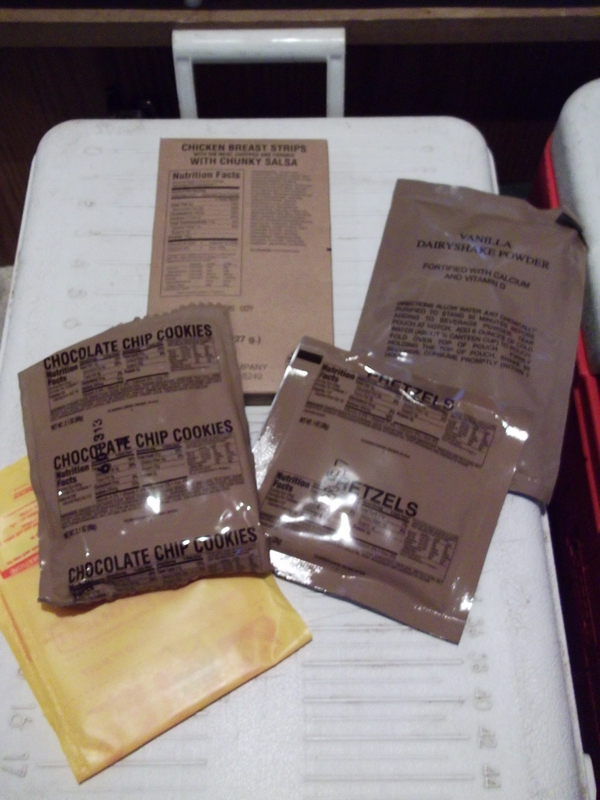 I love having MRE’s in my pantry because I can still have a good meal without having to wait for the weather to clear so I can cook. 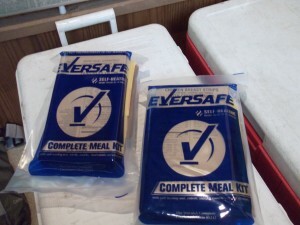 I use Eversafe brand Meal Kits and find that they are rather tasty and have an overall good variety of meals. The only bad thing is that every once in a great while you will run across one that has a defective heating element. What I mean by that is, the salt water heating method will occasionally not get hot at all. This happened to my husband last time we were camping at Buescher State Park. The meal he was trying to heat up just never got hot. When this happens there is really only one thing you can do… try utilizing the second meals heating element to heat the failed one. Now this only works if you have 2 meals and you are preparing them at the same time. Overall, Eversafe (Civilian MREs) are a great brand to go with. 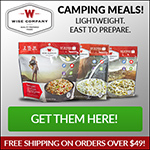 A case of Meal Kits is very affordable and perfect for camping or hurricane supplies. Each case contains 12 meals… about 6 different meals. Unfortunately there is no way of knowing what meals you will actually be getting, but I can say from experience that most of the meals are excellent and only a very small portion are not as tasty. But then again, I guess like everything else that could just be a personal preference. What is the Cairn Subscription Box? Some blog posts and pages within this website contain affiliate links, which means I may earn a small commission if an item is purchased.